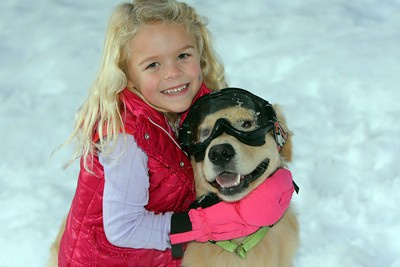 Frequently, families seeking information about our Goldens have lost a Golden to a tragic early cancer. Rightly so, they inquire if we have experienced this problem in our bloodlines. Unfortunately the answer is yes. Because we believe in the importance of honesty and how it will ultimately better the Stellar breeding program, we would like to provide visitors to our website with information regarding this problem in the breed. 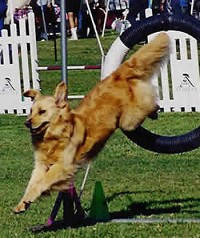 Through scrupulous medical testing, careful selection of animals for planned crosses, and elimination from the breeding pool of dogs with inherited diseases, we as professional breeders have been able to reduce the incidence of many of genetically-transmitted diseases that have traditionally been associated with Goldens, including heart and eye diseases and joint dysplasia. 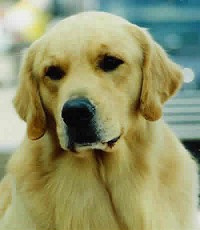 However, it has become clear that early cancer in Goldens (as well as in many other breeds) has become a more common and devastating problem in recent years. There is no known genetic ‘marker’ for cancer risk at present that can be used as a screening tool in a selective breeding program, nor is there any hard evidence that changes in diet or vaccination approaches can reliable decrease the incidence of cancers in Goldens. The years we have spent in the breed and the depth of our experience shows us that, unfortunately, there does not appear to be a “clear bloodline” in any of the mainstream breeding programs. We communicate with Golden breeders across the country and Canada and can report that everyone has been affected by this problem at one point or another. where they are very actively doing research on the potential genetic risk factors for cancer. This research has not yet given us an answer; however, early cancer is something with which we responsible breeders are very concerned and we will continue to make every effort to support cancer research. We make an effort to prioritize health and longevity, but we also desire to breed Goldens that are true to the breed Standard -- most importantly, the Breed’s incredible temperament. We don’t believe we have cornered the market on great Golden temperament and trainability, but because we have developed and maintained a bloodline for many years, temperament and trainability are things for which we now have a high degree of predictability. It is one thing we feel we can virtually guarantee: our experience has shown that a Stellar Golden will be highly trainable, athletic, loving, sweet, and trustworthy. We wish we could guarantee everything else...longevity, health, etc., but it is simply not possible to do so until better scientific tools become available. We want and need feedback from our buyers. If there is a problem, we need to know and we will do our best to assist the family in any way we can. Currently we recommend spay/neuter once the dog reaches maturity vs. early spay/neuter. Please click on the link below and read the study that will help you to understand why we would do so. We provide a copy of the study to our buyers and ask that they not only read it, but that they share it with their veterinarians and make an informed choice. 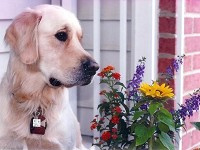 We also encourage you to provide blood DNA samples from your Golden to the Broad Institute’s cancer research projects. Go to their website (link is in 2nd paragraph) for instructions regarding sample submission. The more people we can get involved in these research projects, the better. Donate money to the Golden Retriever Foundation Zeke Cancer Fund (link in 2nd paragraph), and/or the Morris Animal Foundation. Share this information with your friends and your VETERINARIAN. The future of our Goldens depends on it!